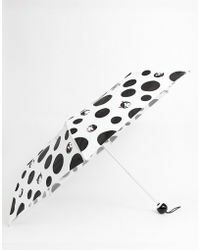 Lulu Guinness is a British women's handbag and accessories label with a strong sense of its English roots. 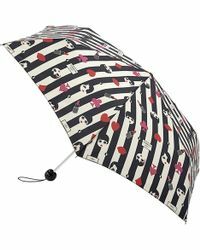 From vintage-inspired clutch bags to totes decorated with embroidered scenery and umbrellas, luggage and cases all with the brand's signature look, Lulu Guinness' designs have become highly recognisable. 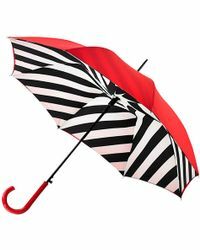 Founded in the late 80s, the brand has come a long way and shows no signs of stopping, often appearing on the red carpet and in the fashion blogging world. 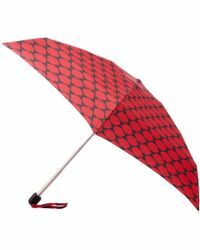 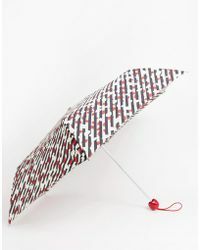 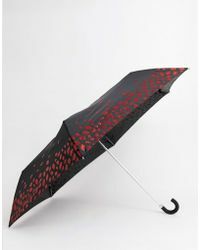 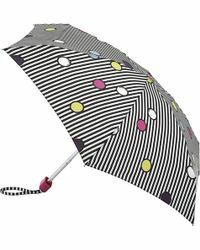 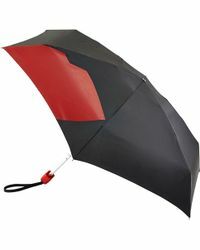 This selection of women's Lulu Guinness umbrellas features see-through bird cage-styles, quirky prints and bright colours you'll want to use come rain or shine.